Organizations are facing an engagement crisis. Regardless if they are customers, employees, patients, students, citizens, stakeholders, organizations struggle to meaningfully engage their key constituent groups who have a precious and limited resource: their time. Not surprisingly, these stakeholders have developed deflector shields to protect themselves. Only a privileged few organizations are allowed to penetrate the shield, and even less will meaningfully engage. To penetrate the shield, and engage the audience, organizations need an edge. Gamification has emerged as a way to gain that edge and organizations are beginning to see it as a key tool in their digital engagement strategy. While gamification has tremendous potential to break through, most companies will get it wrong. Gartner predicts that by 2014, 80% of current gamified applications will fail to meet business objectives primarily due to poor design. As a trend, gamification is at the peak of the hype cycle; it has been oversold and it is broadly misunderstood. We are heading for the inevitable fall. Too many organizations have been led to believe that gamification is a magic elixir for indoctrinating the masses and manipulating them to do their bidding. These organizations are mistaking people for puppets, and these transparently cynical efforts are doomed to fail. This book goes beyond the hype and focuses on the 20% that are getting it right. We have spoken to hundreds of leaders in organizations around the world about their gamification strategies and we have seen some spectacular successes. The book examines some of these successes and identifies the common characteristics of these initiatives to define the solution space for success. It is a guide written for leaders of gamification initiatives to help them avoid the pitfalls and employ the best practices, to ensure they join the 20% that gets it right. 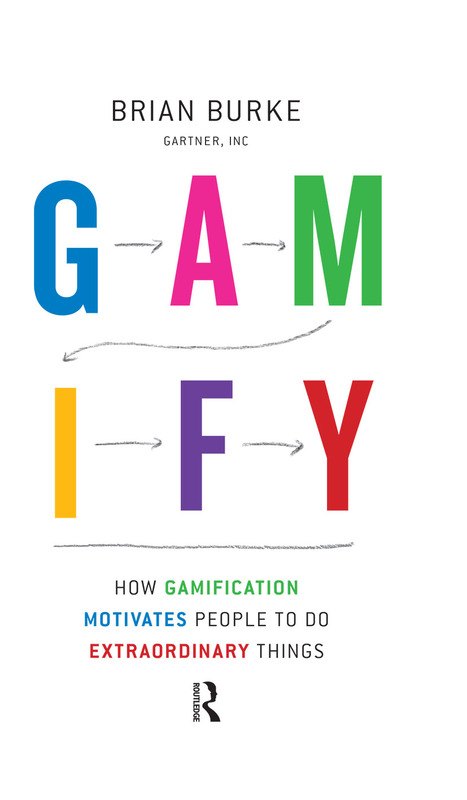 Gamify shows gamification in action: as a powerful approach to engaging and motivating people to achieving their goals, while at the same time achieving organizational objectives. It can be used to motivate people to change behaviors, develop skills, and drive innovation. The sweet spot for gamification objectives is the space where the business objectives and player objectives are aligned. Like two sides of the same coin, player and business goals may outwardly appear different, but they are often the same thing, expressed different ways. The key to gamification success is to engage people on an emotional level and motivating them to achieve their goals.